Vintage clothier Le Frock has found its new Capitol Hill location just four blocks away from its 22-year home where change continues for the tenants of Pinevue Apartments and Bauhaus buildings. Not making the move with Le Frock is the shop’s longtime owner Diane Stone. Stone, 75, is retiring after running the store for 21 years, according to store manager Gentry Michaels. He told CHS that Stone would continue to act as a consultant for the shop. As Stone steps aside, Le Frock will make a typical Capitol Hill move, hopping four-blocks into the former home of shuttered adult goth boutique BedlamBedlam at 613 E Pine. Unsure of its new home, Le Frock first announced it would move out of its current location in June. Michaels said he discovered the Bedlam space after reading about the store’s closure in April. “Our difficulty in finding a space was that if you’re looking for 300 to 400 square feet, there aren’t a lot of places around here, and the prices on Broadway are outrageous,” he said. Michaels tells CHS Le Frock’s game plan is to close the current location for four days at the end of July and be open at Pike and Boylston by August 2. The store will continue to be open during normal business hours while the new location gets a paint job and fitting rooms. Michaels, an eight-year employee of Le Frock, said the store’s concept and collection would not change on account of its new, larger home. “The store grows and changes with the community. It’s not the same store it was 20 years ago,” he said. 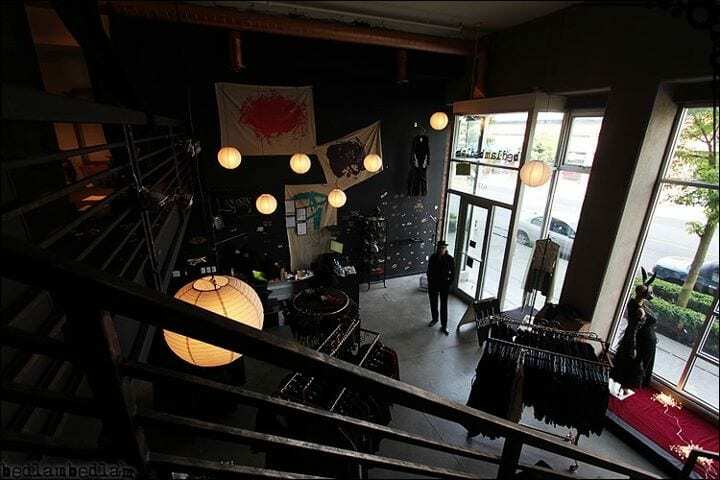 Unlike Bedlam, Michaels said Le Frock would spread their retail space into the shop’s unique upstairs loft. As the long expected development of the Melrose and Pine building draws near, Le Frock is one of the last holdouts in the market-dense stretch of E Pine between Bellevue and Melrose. 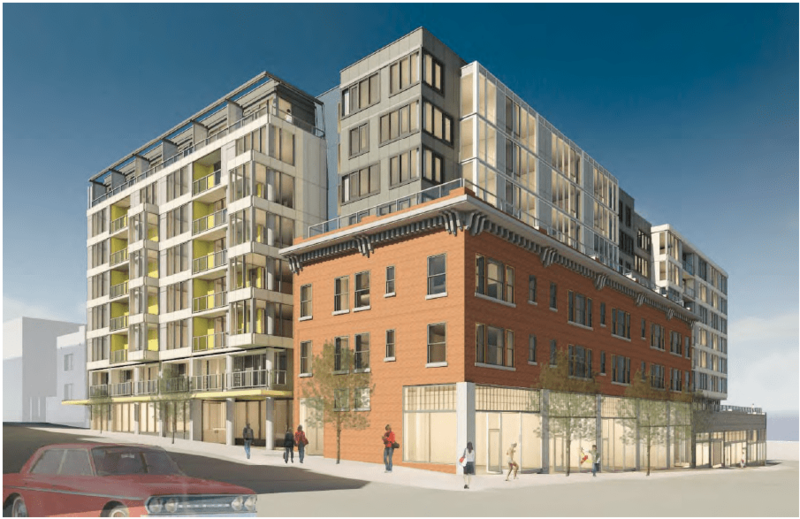 The new 180-unit, eight-story mixed-use building will require demolition, preservation, and construction on the existing structures, slated to begin in the fall. The Pinevue building has been home to Le Frock, Edie’s, Scout Apparel, Vutique, Wall of Sound and Spine & Crown Books. Bauhaus, located in the adjacent Melrose building, has opened in Ballard and plans to return to the corner when the construction is completed in the next two years. In the meantime, Capitol Hill customers will find a sign announcing that the coffee shop is still open — for now. Meanwhile, Capitol Hill’s vintage retail is losing two shops this summer as Kaleidoscope Vision has shuttered on 10th Ave after just more than a year of business and tiny In Commune is closing to make way for this long-planned Capitol Hill mixed-use development. Good luck to Le Frock, and I hope Ms. Stone has a great retirement! Are you kidding me? What is the point of going to or living in Seattle if all the little shops and coffeeshops are closing? The modern-looking establishments and housing apartments look cheap and ridiculous next to the architecturally designed Bauhaus and Le Frock.